Thanks to California Dried Plums for providing compensation and dried plums to facilitate this bone health discussion. I like dried plums aka prunes. I use them quite frequently as a natural sweetener in green smoothies. They are very versatile in that they can be used in sauces, desserts, toppings, entrees, and simply as a healthy snack right out of the bag. 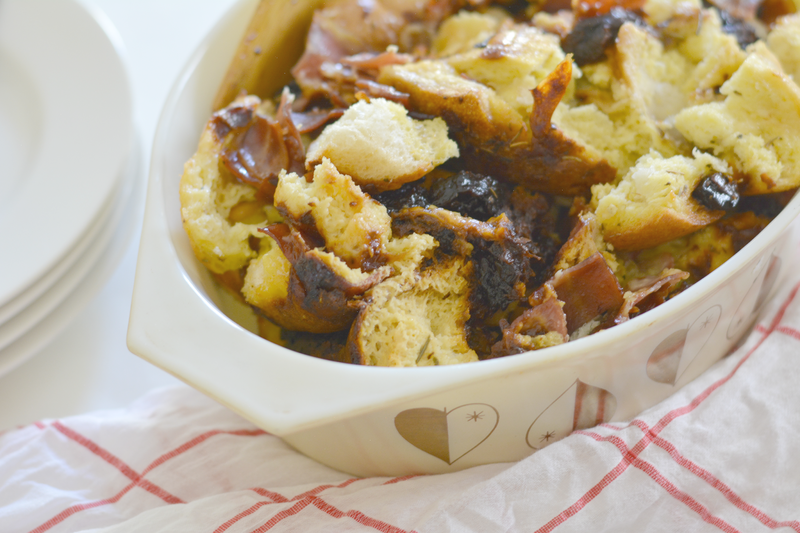 As it turns out, dried plums are excellent in strata too. 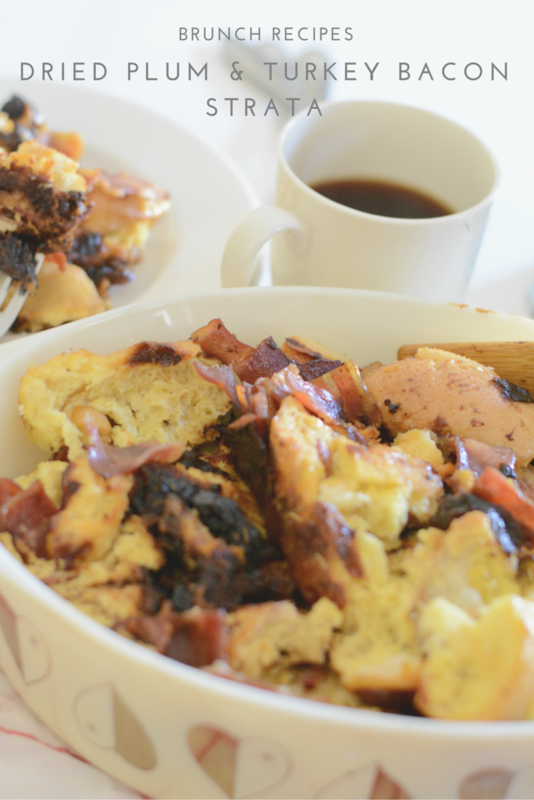 When looking for a good brunch dish I could serve our Thanksgiving guests, I stumbled upon strata recipes. How have I lived this long without making a strata? 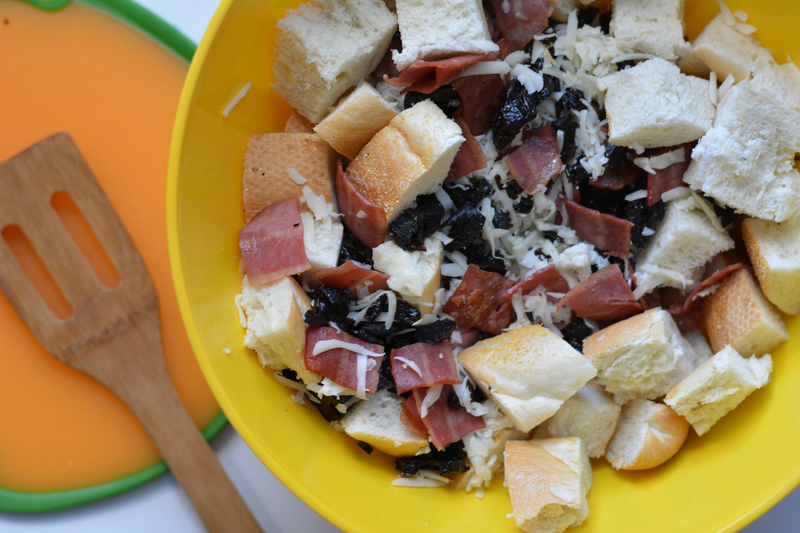 It's a yummy casserole similar to a quiche or bread pudding. It came together really fast and super easy. You can prepare it the night before and put it in the oven in the morning or toss it in the crockpot like I did. 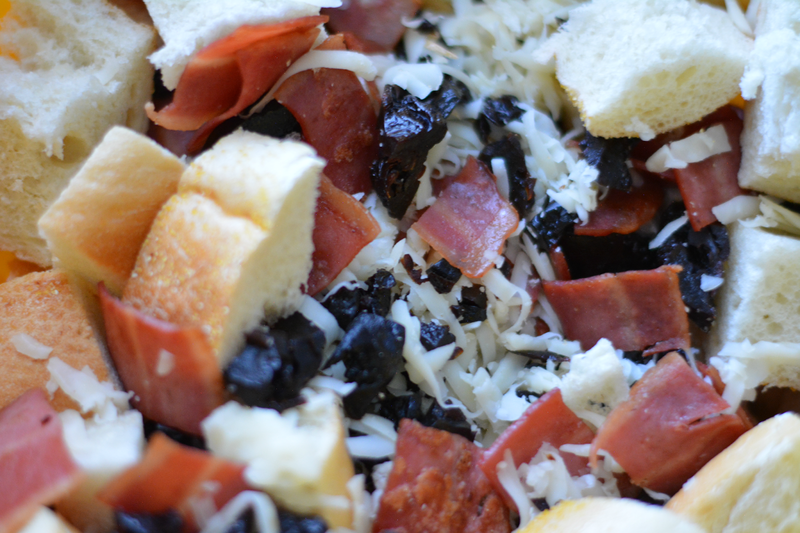 I chopped up the dried plums and shredded the cheese the night before. In the morning, I cooked the turkey bacon and whisked the eggs, milk, and seasonings together. I mixed the cooked bacon, dried plums and cheese in a bowl and spooned half of the mix into the crockpot then poured half of the egg mixture over it. Repeat. Cook on low for 4 hours. Serve warm. It's savory with a touch of sweetness. Delicious. 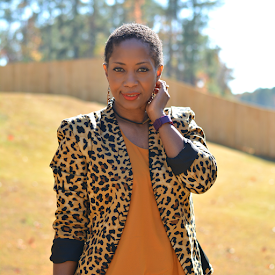 As I get older (and better), I'm more concerned with taking care of my body. I'm more conscious about the foods I eat. I do my best to eat foods that are good and good for me. California Dried Plums are The Whole Package: a naturally sweet, convenient and nutrient-dense snack and a versatile culinary ingredient. Emerging research suggests dried plums support healthy bones, and may support heart health, digestive health, immunity and healthy aging. I have my slip up moments. The leftover Halloween candy beckons me daily. This is when I pick up a small bag of California Dried Plums to satiate the sweet tooth. Dried plums may help manage weight through improved satiety perhaps by producing lower glucose and/or appetite-regulating hormone concentrations. Not only are dried plums satisfying, they provide a healthy dose of nutrients. Incorporating California Dried Plums as a regular part of nutritious food choices may support healthy bones. They contain vitamins and minerals such as potassium, copper, boron and vitamin K which may have bone protective effects. One standard serving (4–5 dried plums) is about 100 calories. Additionally, each serving provides 3 g of fiber (and is considered a good source of fiber), 293 mg of potassium, 16 mg of magnesium and more vitamin K than any other fresh or dried fruit. Learn more about California Dried Plums on Facebook, Twitter or following hashtag: #CADriedPlums #ad. 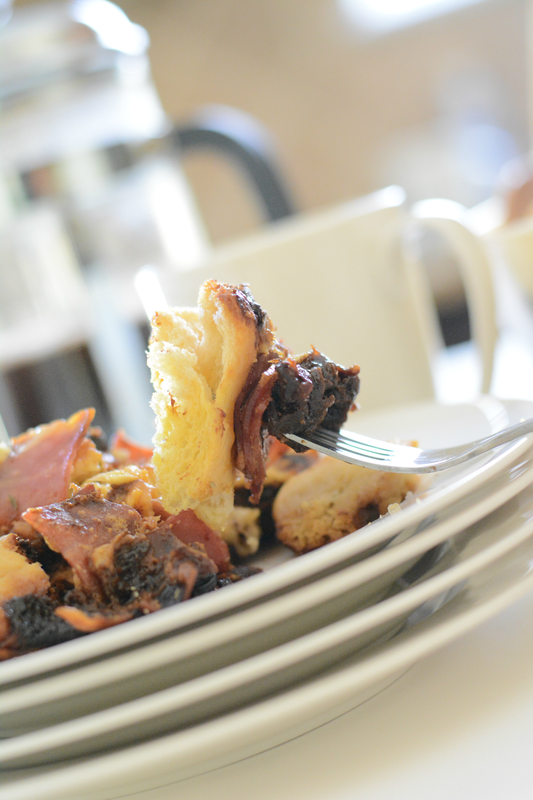 You can find the full plum and bacon strata recipe and more on the California Dried Plums Culinary website. 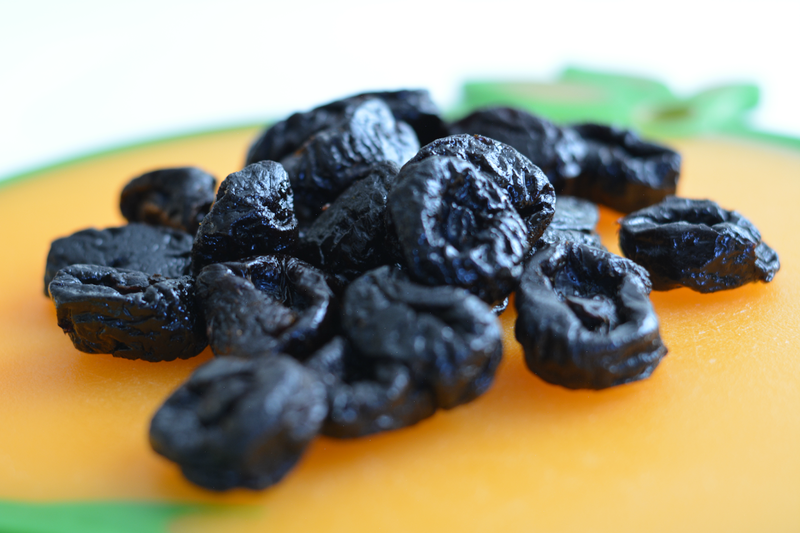 Do you snack on dried plums? Do you use them in savory dishes?